It’s not just a bar anymore. 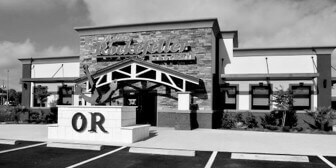 Royal Knight is slinging sandwiches, salads and specials like you wouldn’t believe. The unassuming spot at 3004 Government Blvd. affectionately known as “the ditch” has put together quite a menu with a thankfully predictable list of daily specials (red beans and rice, hamburger steak, chicken, pork chops, and fish in order Monday through Friday) and a more eclectic collection of poboys ranging from hanger steak and hamburger to chicken tenders or debris. Lunch is in the $8 to $10 range for specials and half poboys. There is plenty of creativity to be found in the finger food section of the menu. Fried cheese bites, fried pickles, mini crab cakes are upstaged by “ditch dogs,” which are basically bite-size Conecuh sausage corn dogs. I don’t see that as being a problem. Grab lunch prices from 11 a.m. until 2 p.m. The kitchen is ready to go. Call 251-287-1220 for more information. There are legions of fans flocking to Oysters Rockefeller Bar and Grille at 312 Schillinger Road. One look at the pictures on Facebook is all it takes for you to see why. 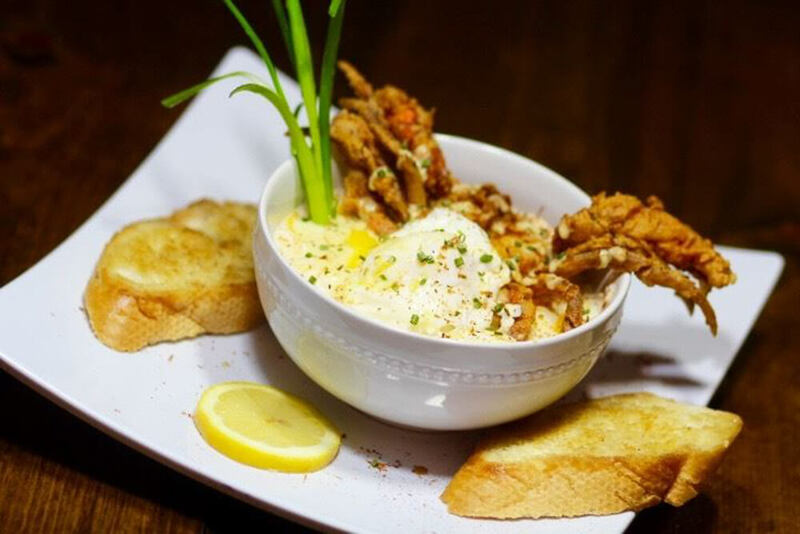 West Indies salad (a Mobile County creation), Gulf seafood and pasta dishes, the occasional lobster and a well-stocked bar are incentive enough without even mentioning the oysters. Currently Oysters Rockefeller is open from 3-10 p.m. September rolls in a new school year and a return to the lunch game. What’s better than that news? The price is nice. Expect a soup, an entrée and a side starting somewhere around $8! Check out Oysters Rockefeller online at oystersrockefeller.net or call 251-607-9527. This is just a friendly reminder about one of our most important statewide events. This year’s Alabama Restaurant Week is running August 15-24. Yes, you read that right. It’s actually more than a week of locally owned and operated Alabama restaurants participating in one of our biggest marketing events. Restaurants across the state including several in Mobile and Baldwin counties will be serving up special pre-scheduled menu items for lunch, dinner or both at attractive prices. There are no hidden fees, nor coupons to present. Simply show up to a participating restaurant and ask for the Alabama Restaurant Week meal. Prices do not include tax or beverages. 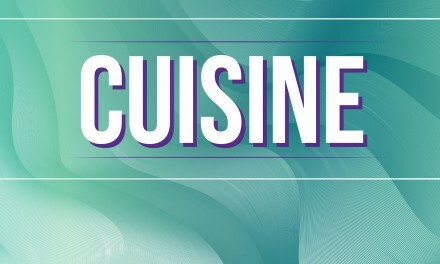 Visit http://alabamarestaurantweek.com and click on the county of your choice for a list of participating restaurants. Many have already posted the specials they are running for the event. Pro tip: pay close attention to the offerings at the Trellis Room. I am certain I will run into you at one of these fine establishments. I can put anything on grits and be happy. Just ask my Waffle House waitresses. They don’t even look at me funny anymore. With the boys returning to school I thought it would be great to share this recipe for what is actually a mock breakfast pizza rather than a grit casserole. You may have to set your alarm a little earlier. I don’t mind. Lucas and Graham are worth the extra effort. A crescent roll crust makes this a little easier. I would purchase two packages of those. You may want a larger pizza or you may blow it on your first crust attempt. On a pizza pan or cookie sheet (ungreased) arrange triangles of dough to form a pizza-like shape. It’s not exactly what you think. One side is squared off so you have to improvise with a little bit of overlapping. If the points are not toward the center then maybe you should reconsider this endeavor and turn off your 375 degree oven before you hurt someone. A drive thru is in your future. For the rest of you who successfully formed somewhat of a circle, press the edges together and roll up the outer ring to form a pizza crust. In a heavy skillet brown the sausage. Remove with a slotted spoon and distribute evenly over the crust. In remaining grease cook the onions until tender. Sprinkle the potatoes and half of the cheese over the sausage. Add the onions to half of the “pizza.” Make sure you can determine which half of the pizza has onion otherwise your onion-hating spouse, girlfriend, or child will be unhappy before the day has even begun. Beat the eggs until broken and incorporate the milk. Pour over the entire pizza within the parameters of your elevated crust. If you feel like it’s too much egg, stop. You may discard the rest of the egg. Don’t feel too bad about it. Total monetary waste will be about $0.25. Bake about 25 minutes or until the eggs are set, but keep an eye on it. Offer parmesan and red pepper flakes like any other pizza parlor. Serve with a breakfast beer or full strength coffee for those of age. Put those egg shells in the compost heap. Recycle!